We have been asked to announce the death of Vera Cain, aged 80 years, of Hildesley Road in Douglas. She passed away on Friday 31st August 2018 at her home. Wife of the late Dennis, she leaves daughter Denise, sons Malcolm, Gary, Neil and families. A Requiem Mass will be held at St Josephs Church, Willaston, on Thursday 6th September at 9am, followed by private interment at Douglas Lawn Cemetery. Family flowers only please. For further information regarding donations in lieu of flowers please contact Kingswood Funeral Home, Kingswood Grove, Douglas, on 661611. We have been asked to announce the death of Stuart Duncan. He passed away on Tuesday 28th August 2018 at Noble’s Hospital. Beloved father of Chloe and Michael, he will be sadly missed by all his family and friends. Funeral service and cremation will be held at Douglas Crematorium on Friday 14th September at 2.45pm. For further information please contact Eric Faragher Ltd on 673109 or 622897, or enquiries@efl.im. We have been asked to announce the death of Andrew James (Andy) McHarrie. He passed away on Wednesday 22nd August 2018 suddenly at Noble’s Hospital. Beloved son of Pat and Sid, father of Kylie and brother of Dirk and Deborah. Partner of Sandra. Funeral service and cremation will be held at Douglas Borough Crematorium on Tuesday 4th September at 10.45am. We have been asked to announce the death of Freda Lin (Linnie) White, of Kirk Michael. She passed away on Monday 21st August 2018 at Hospice, with her beloved husband Andy by her side. Funeral service will be held at Douglas Borough Crematorium, on Thursday 20th September at 11.30am. Please wear colourful clothes and a hat of preference. Donations in lieu of flowers if so desired to Hospice Isle of Man. For further information please contact Eric Faragher Ltd, on 673109 or 622897. We have been asked to announce the death of Lionel Arthur Cowin, formerly of Maughold. He passed away on Sunday 19th August 2018 at Noble’s Hospital. He leaves wife and best friend Jean, daughter Emma, son Richard and grandchildren. The funeral service will be held at Douglas Lawn Cemetery Chapel on Friday 7th September at 12.30. We have been asked to announce the death of Ann Pickering, of Ballaterson Cresent Peel. She passed away on Sunday 19th August 2018 at her home surround by her family. She leaves husband Tom, son Simon, daughter Joanne, son in law, grandchildren, and many family and friends. The funeral service will be held at Peel Methodist Chapel on Tuesday 28th August at 12noon, followed by burial in Peel cemetery. We have been asked to announce the death of Alan Daniel Lynch, aged 90 years. He passed away on Friday 17th August 2018 at Noble’s Hospital. Alan leaves his beloved wife Shirley. A loving dad to Cathy, John and Alex, and loving granddad to Erin, Jamie, Jack and Cameron. 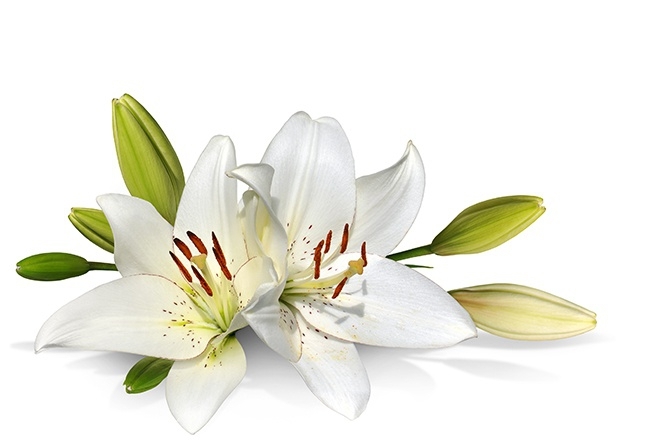 Requiem Mass will be held at St Joseph’s Roman Catholic Church, Willaston, Douglas, on Friday 24th August at 10am, followed by private interment. For further information please contact Eric Faragher Ltd, 6, Main road, Onchan, on 673109 or 622897. We have been asked to announce the death of Anthony Cecil (Tony) Kennaugh, aged 73 years, formerly of 110 Malew Street, Castletown. He passed away on Friday 17th August 2018 at Hospice Isle of Man. The funeral service will be held at Douglas Borough Crematorium on Friday 24th August at 10am. Family flowers only please. For further information regarding donations in lieu of flowers please contact Cringle & Co Ltd. Southern Funeral Service on 833602 or 824134. Nominated charities are Hospice Isle of Man or Rebecca House. We have been asked to announce the death of Mona Marion Garrett, aged 90 years, of Colby. She passed away on Friday 17th August 2018 at Ramsey Cottage Hospital. Beloved wife of the late George, she leaves son Stanley and daughters Cheryl and Marlene and family. The funeral service will be held at Arbory Parish Church on Thursday 23rd August at 2pm, followed by interment in the churchyard. We have been asked to announce the death of John Michael Oldham, aged 75 years, formerly of Silverburn Drive, Ballasalla. He passed away on Sunday 12th August 2018 at his home. Loved husband of Marlene, dear father of Edward and the late Sarah, loving grandad of Matthew and father–in-law to Eddie. The funeral service will be held at Douglas Borough Crematorium on Thursday 16th August at 11.30am. For further information regarding donations please contact Cringle & Co, Ltd Southern Funeral Service on 824134 or 833602. Nominated Charity is Isle of Man Anti-Cancer Association. We have been asked to announce the death of Elva May Killey (nee Norrey). She passed away on Tuesday 7th August 2018 at Hospice Isle of Man. Beloved wife of the late Ted, devoted friend of Norman, and a much loved sister, sister-in-law and aunt. A service to celebrate Elva’s life will be held at Trinity Methodist Church, Douglas, on Friday 17th August at 12.15pm. For further information please contact Eric Faragher Ltd Funeral Directors, Main Road, Onchan, on 673109 or 622897. We have been asked to announce the death of Peter Nicholls. He passed away on Saturday 11th August 2018 at Salisbury Street Nursing Home. Beloved husband of the late Joy, brother of the late Roy, brother-in-law of the late Jennifer and loved uncle of Keren and Sarah, and great uncle of Hannah. A funeral service will be held at Douglas Borough Crematorium, on Wednesday 22nd August at 2pm. For further information please contact Eric Faragher Ltd, Funeral Directors, on 673109 or 622897. We have been asked to announce the death of Winnie Kneale. She passed away on Thursday 9th August 2018 at her home, Glen Close, Glen Maye. Beloved wife of John and much loved mother, step-mother, grandmother, great grandmother and great great grandmother. The Funeral Service will be held at Crosby Methodist Chapel on Thursday 16th August at 2pm. For further information please contact David Lancaster Ltd Funeral Directors, Peel, on 842945.